Deb Willett and I (Gael Orr) were able to tour the incredibly beautiful island of Maui, with our friend and broker, Larry Feinberg from Aloha Brokers. Larry made sure we had an adventure in every good sense and meaning of the word. We had a great time doing a little site seeing between store visits. In addition, there wasn’t a place we could go on that Island that people didn’t know, Larry personally. Every cashier and person walking down the street waved to say hello to him personally. It made our visit that much more fun. Pat O’Conner from Aloha Brokers took Deb Willett and me (Gael Orr) on store visits in Oahu, Hawaii. We really enjoyed touring the island but expecially meeting our buyers and seeing first hand the unique aspects of island living and grocery shopping! 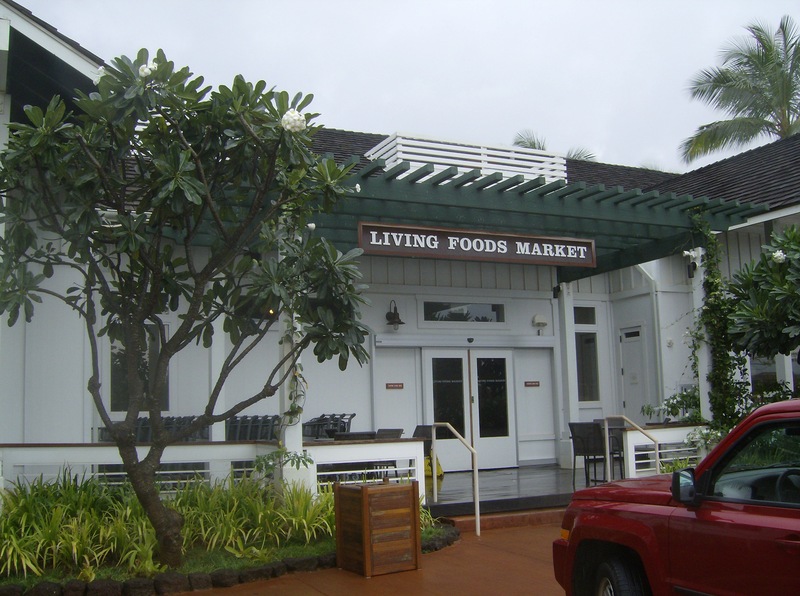 We enjoyed eating at Down to Earth, an all vegetarian grocery store.